I’ve always been fascinated by the magic sound of a well-directed choir. And by the excitement you get from lending your voice to create something that sounds and feels so good in its whole. If you’ve been part of a vocal ensemble before, you know exactly what I’m talking about. If you haven’t, that’s an experience you should definitely try. I’ve been toying with the idea of starting a choir for some time and I have finally decided that now it is time to fulfill my dream. So, I’m very excited that over the next couple of months I’ll be working hard on creating the first Sonic Crew Choir and getting ready to rehearse! Contemporary choirs have really gone mainstream during the last decade, helped by TV shows such as Gareth Malone’s The Choir on the BBC and more and more people are getting passionate about choral singing. 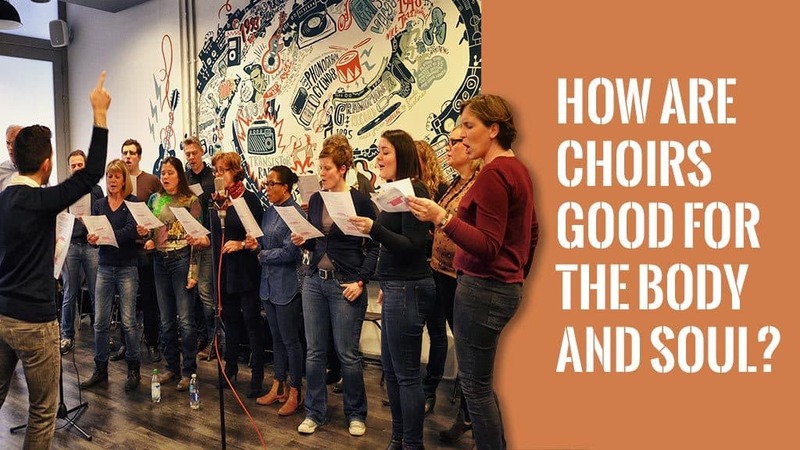 It’s easy to see why: other than being a very enjoyable and creative activity, singing in a choir encourages social interaction and is linked to lots of physical and psychological health benefits, as documented by plenty of scientific research. Singing in harmony also helps to create a very strong bond amongst all members of the choir and a sense of purpose towards a common goal. There are quite a few Choirs in London and some of them are really good. The moment I decided to create my own Choir I set out my mind on creating something special and somehow unique, up there with the best choirs. For a start, we’ll be based in one of London’s coolest music industry hubs, immersed in a very creative environment where top names such as Mark Ronson, Lily Allen, Marshall Records and many more are also based. Then, there will be plenty of opportunities to perform once the choir is ready, and the repertoire will be a mix of classic and recent hits, all arranged for 3 or 4 vocal parts. I’m also looking to create as many opportunities for socializing outside of the choir’s rehearsals and make the most of the beautiful amenities available around King’s Cross. If you are passionate about singing and are looking for the ultimate feel-good experience, check out the Sonic Crew Choir and Contact Us if you need any further information.